Loopmasters has released Dubmatix Automatic Reggae, a collection of Roots influenced musical loops and samples, carefully fused with modern technologies for Producers of Dub, Reggae, Dubstep, DnB and Downtempo music. Music runs deep within the veins as does the various musical styles Dubmatix brings to his fresh, distinctive productions – from pure, old-school King Tubby dub to the freshest electro-shock to classic conscious roots to Drum’n’Bass and more. A multi-instrumentalist, Dubmatix performs all instruments on each release that include Drums, Guitar, Bass, Piano/Keyboard, Melodica, Percussion. Dubmatix brings all of his years of experimentation and learning to his current productions – whether it is his own material or outside projects. Dubmatix has developed a unique signature sound and style that is immediately recognizable – a Phil Spector-esque full sound utilizing heavy bass, majestic horn lines, thick-set percussive grooves, and strong production values. Over 1.4GB content, 24bit/44kHz quality. 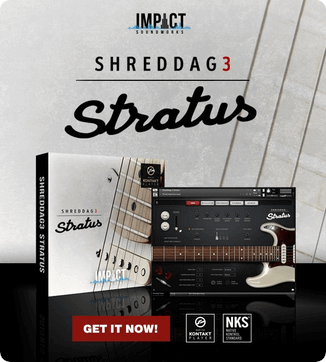 586 samples, 416 Loops and 170 Single Hit Sounds. Included are 41 Ready to play patches for Halion, Kontakt, SFZ, EXS, Reason NNXt and Kontakt formats, including banks of Horns, Keys, Organs, Pianos, Synths and of course Drums. 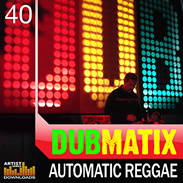 Dubmatix Automatic Reggae is available to purchase in various formats for £34.95 GBP.